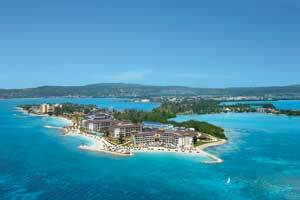 Secrets Wild Orchid Montego Bay is an all-inclusive, adults-only (18+) resort, located on a private white-sand beach in Jamaica. Featuring 24-hour room service, breathtaking ocean views and a myriad of amenities, this vacation spot is perfect for relaxation and fun. Located on a peninsula, Secrets Wild Orchid boasts a high standard of exclusivity; all suites offer spectacular views across the ocean, pool or gardens from their spacious, private balconies. The all-inclusive Secrets Wild Orchid Montego Bay sits serenely on over a half mile of private white-sand beach on Montego Bay peninsula. With 350 opulent suites, this adults-only (18+) resort, inspired by the island's surroundings, features 24-hour room service, breathtaking ocean views and superb amenities. All suites offer spectacular views across the ocean, pool or gardens from spacious private balconies. Secrets Wild Orchid is ideally located on the northwest coast of Jamaica, only 20 minutes from the Montego Bay International Airport. Secrets Wild Orchid is one of two contrasting (yet complementary) resorts that make up the Secrets Montego Bay Resort & Spa complex. 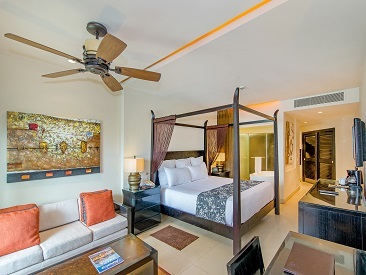 Secrets Wild Orchid takes its more contemporary inspiration from its island surroundings with warm neutral tones and unique indigenous art, while the adjacent Secrets St. James reflects the island's rich history with traditional elegance. Access to the amenities of both resorts means having a vast selection of gourmet à la carte restaurants, bars and lounges, a lavish spa with oceanfront massage cabanas, a private concierge on every guest floor, a state-of-the-art open-air theater and a full array of activities, all part of Secrets' Unlimited-Luxury® services. 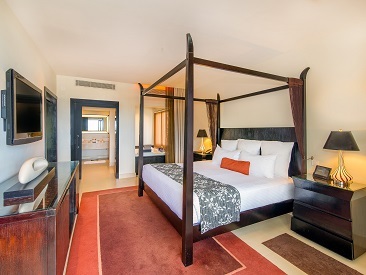 This package is complimentary when booking a minimum of five nights in the Preferred Club Junior Suite or higher room category. Pricing is based on double room occupancy. Engagement package details can be arranged upon arrival. Additional terms and conditions for any package add-ons will apply. Please request the proposal package at the time of booking. Package and pricing subject to change without notice. Blackout dates and restrictions may apply. This entire offer is subject to availability and can be modified or closed out at any time. This offer is combinable with other promotions. Employees of tour operators and wholesalers do not qualify. Applicable to all markets. Contact your travel agent for pricing. Note: Please contact the wedding coordinator at the resort at least 30 days in advance to confirm date availability. Terms & Conditions: Subject to availability and double occupancy only. Prices and package subject to change without notice. This package is for two people and cannot be combined with other complimentary packages or be deducted when purchasing other packages. Additional costs may apply for additional guests and optional services requested. 15% discount on spa treatments cannot be applied to spa packages or combined with any other spa promotion or offer.